Extend your hosting space and show off your beautiful greenery and blooms with our Indra coffee table. This pink and green tiled design brings an instant update to your garden or conservatory. And it can be used indoors, too. 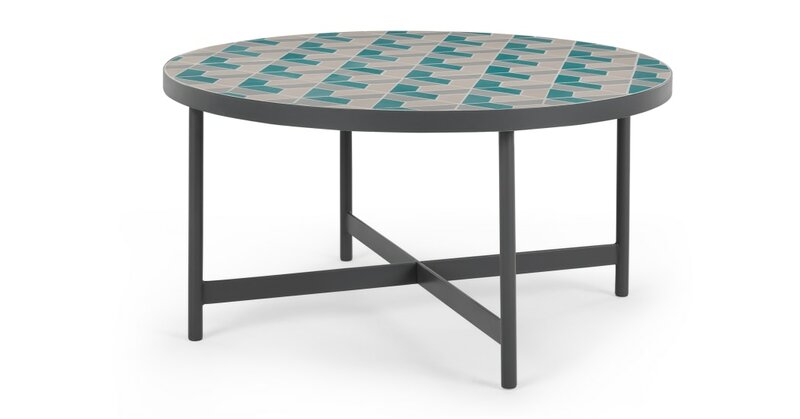 Perfect for adding personality to your space, it’s designed with an eye-catching, geometric tiled top by our super-talented MADE Studio team. Accessorise Indra with suitably bright planters. You can’t always rely on the weather, which is why we’ve designed Indra to withstand any unseasonable showers. Just wipe down and get back to enjoying your garden.